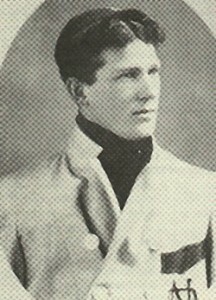 After a brief major league career with the Washington Senators and Philadelphia Athletics, Frank Shaughnessy moved to Montreal in 1912 to coach the football team at McGill University. The former Notre Dame gridiron star would lead the university to two championships. In the off-season, “Shag” managed semi-pro baseball clubs in Hamilton and Ottawa. He also coached for the Detroit Tigers and was later hired by the International League’s Montreal Royals. 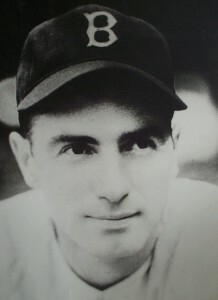 While employed by the Royals in 1933, Shaughnessy introduced night baseball to the city and a revised playoff system that saw the league’s top four teams advance to the post-season. This format – dubbed the “Shaughnessy Plan” – was quickly adopted by other minor leagues. This entry was posted in Featured Hall of Famer on April 8, 2019 by admin_baseball. Born in Saint John, N.B., and grew up and lived in Fredericton, N.B., in 1968, Stairs was hoping to become a professional hockey player until he sustained a serious knee injury in high school. When he recovered, he decided to focus on baseball and he honed his skills at the National Baseball Institute in Surrey, B.C. and with Canada’s junior national team. 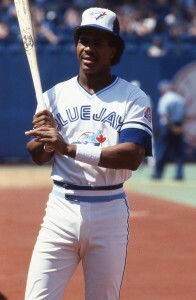 In 1988, he competed for Canada in the Olympics and hit .362 at the Baseball World Cup and was named the tournament’s top shortstop. 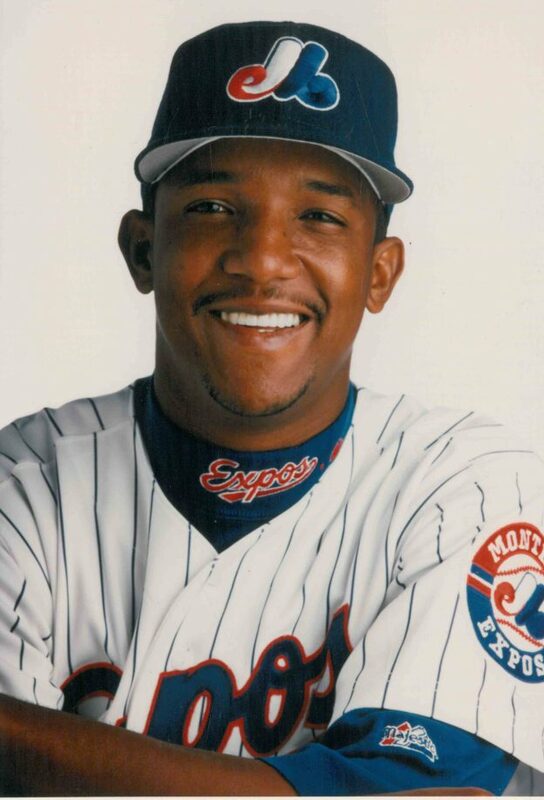 His international success helped convince the Expos to sign him as a free agent in 1989. 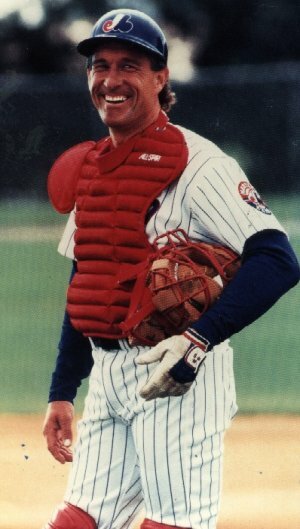 After parts of four seasons in the minors, the stocky Maritimer made his big league debut with the Expos on May 29, 1992. Over the next four seasons, he split time between Triple-A, the Expos, the Chunichi Dragons of the Japan Central League and the Boston Red Sox, before inking a deal with the Oakland A’s on December 1, 1995. This entry was posted in Featured Hall of Famer, Uncategorized on February 27, 2019 by admin_baseball. After leading Ingersoll and Guelph to Ontario championships, Oscar Judd played in seven different pro and semi-pro leagues prior to his major league debut in 1941. His minor league odyssey included stints in the Cubs and Cardinals organizations. While in the Cards system, Judd, who had hit as high as .416 in 1939, was asked by baseball legend Branch Rickey to become a full-time outfielder, but the Southern Ontario southpaw refused. Judd would make his big league debut with the Red Sox in 1941, but it wasn’t until 1942, at age 34, that he became a regular starter, posting eight wins and a 3.89 ERA. 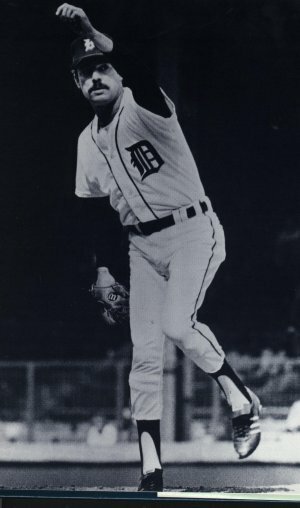 The following season was Judd’s finest, when he fashioned an 11-6 record, a sparkling 2.90 ERA and earned himself a trip to the all-star game. This entry was posted in Featured Hall of Famer on February 14, 2019 by admin_baseball. Arthur Irwin played sandlot baseball in Toronto, before moving to Boston at age 15. 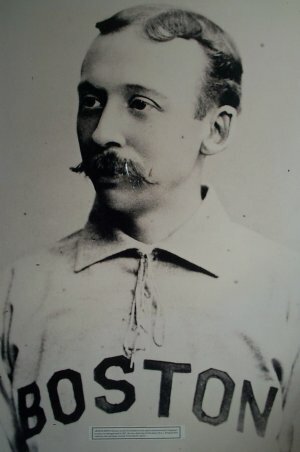 Signed by the National League’s Worcester Ruby Legs, the young Canadian made his major league debut on May 1, 1880. The finest season of his 11-year playing career was in 1883, when he hit .286 and registered 116 hits with the Providence Grays. 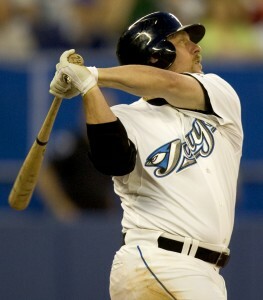 When the Grays captured the league crown the following year, he became the first Canadian to be part of a championship squad. The gritty infielder revolutionized fielding after he broke two fingers on his left hand in 1885. Unwilling to sit out with the injury, Irwin took a large buckskin driving glove, padded it, made a fastening at the back and sewed the third and fourth fingers together to leave room for the bandages. In devising this contraption, Irwin has been credited with popularizing the fielder’s glove. 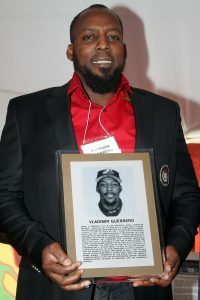 Born in 1975 in Don Gregorio Nizao, Dominican Republic, Guerrero boasted a tremendous combination of power and speed that, coupled with his strong throwing arm, made him one of baseball’s best all-around players during his eight seasons with the Montreal Expos. Signed as an amateur free agent by the Expos in 1993, Guerrero became a regular outfielder with the club in May 1997. After he belted 38 home runs in 1998, the five-tool outfielder made his first of four consecutive All-Star appearances in 1999. 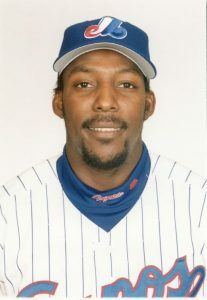 Two seasons later, he became the first Expo to record 30 home runs and 30 stolen bases in the same season, only to outdo himself the following campaign when he narrowly missed becoming the fourth member of Major League Baseball’s exclusive 40-40 club when he finished with 39 home runs and 40 stolen bases in 2002. That season, he also topped the league in hits (206) and total bases (364) and his 7.0 WAR was the second-best by a position player. This entry was posted in Featured Hall of Famer on February 9, 2019 by admin_baseball. 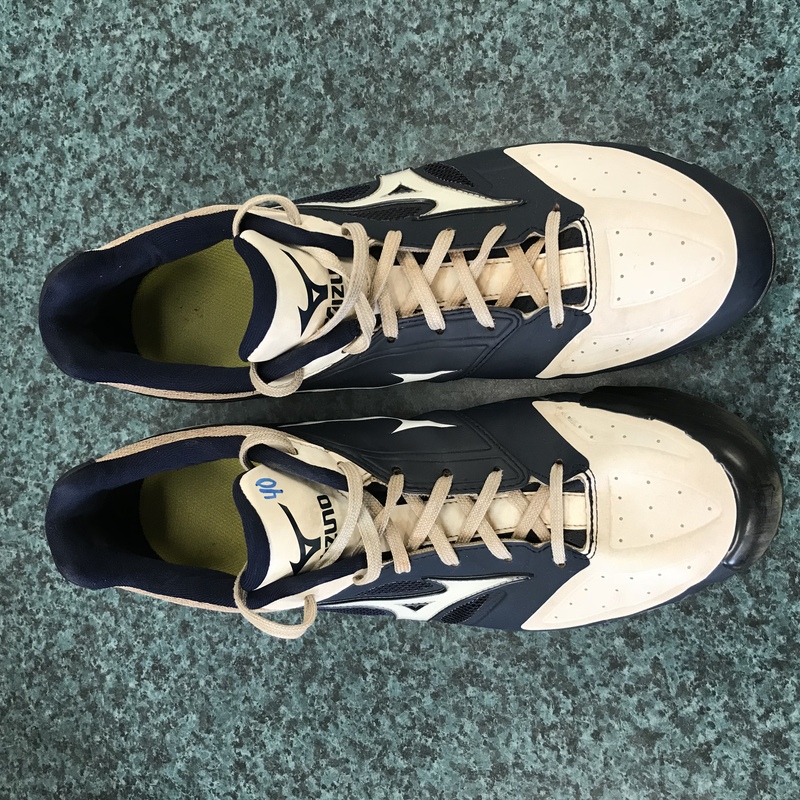 This entry was posted in The Museum, Uncategorized on November 27, 2018 by admin_baseball. Born in Manoguayabo, Dominican Republic, in 1971, Pedro Martinez was signed as an amateur free agent by the Los Angeles Dodgers in 1988. He was used primarily as a reliever for parts of two seasons with the Dodgers before he was dealt to the Montreal Expos for Delino DeShields on November 19, 1993. It was in Montreal that his major league career would truly take off. A key member of the Expos’ rotation in 1994, when the team owned a six-game lead atop the National League East division in August before a strike wiped out the rest of the season, Martinez would evolve into the club’s ace. 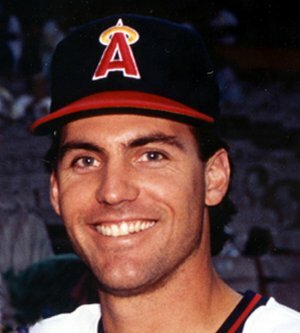 After registering 14 wins and a 3.51 ERA in 30 starts in 1995, he was selected to his first All-Star Game in 1996 when he recorded 13 victories and struck out 222 batters in 216-2/3 innings. This entry was posted in Featured Hall of Famer on October 25, 2018 by admin_baseball. This entry was posted in Featured Hall of Famer on October 21, 2018 by admin_baseball. This entry was posted in Uncategorized on July 25, 2018 by admin_baseball. With the calendar rolling into June, the pedal really hits the metal for the CBHFM. 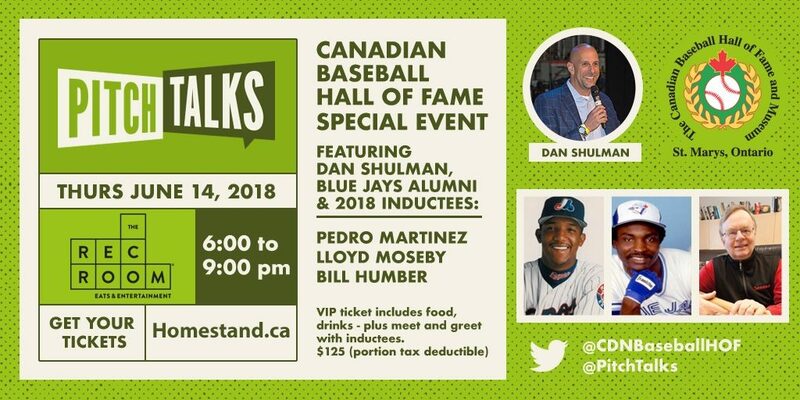 Induction Weekend for Pedro Martinez, Lloyd Moseby and Bill Humber is our biggest event of the year. We’ve been busy finalizing travel and other logistical details, confirming volunteer numbers, dealing with caterers and finalizing details of landscaping around the new Museum. On June 5th, Scott will appear on the Blue Jays pregame show with Jamie Campbell to discuss Induction Weekend. He’s also doing weekly interviews with Barrie radio station 101.1 Big FM about the Blue Jays. At the office, we’ve finished the hiring process for students to catalogue the collection. We are pleased to announce that Calie, Alana, Bronte and Julianna have been selected for a 16-week term with help from several government student grants. June 4 marks the 180th anniversary of a game in Beachville, Ontario, one of the earliest, if not the earliest, recorded baseball games in North America. 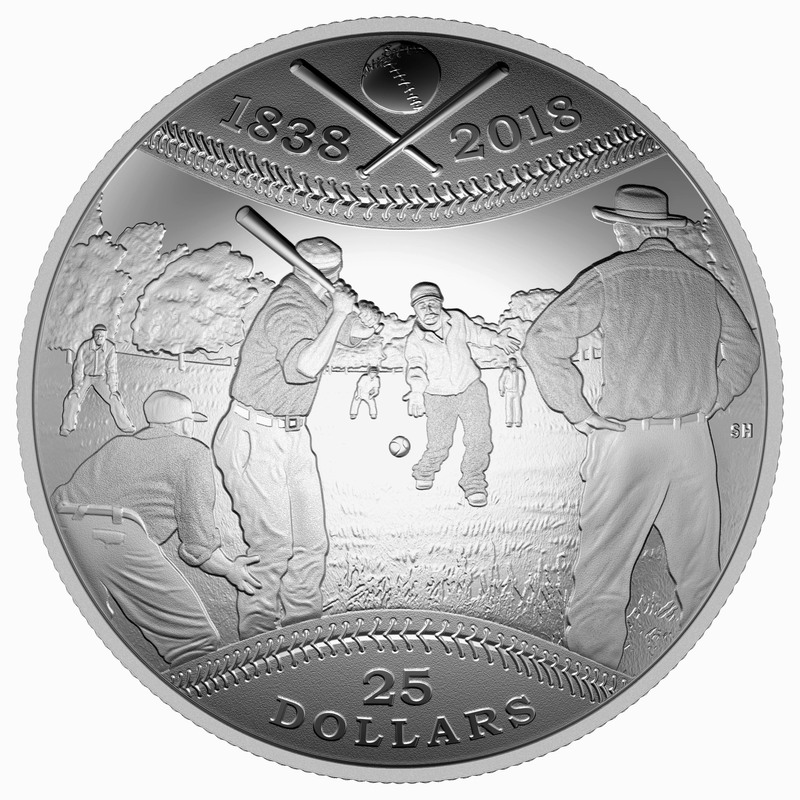 The Royal Canadian Mint has commemorated the game with a beautiful, convex silver coin. CBHFM Inductee Bill Humber contributed to the excellent background piece accompanying the coin description on the Mint’s website. Here’s the link. And this Saturday, June 2, the Beachville District Museum is hosting a day of activities in honour of this important anniversary. To see the event flyer, click here . In other news, for the seventh straight year, CanAm League teams will host visiting teams from outside the league in the month of June. This year, a national squad from the Dominican Republic and the Salinas Stockade of Kansas will play a 3- or 4-game series against each league member between June 4 and 22. 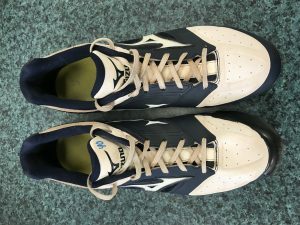 Complete details may be found online at canamleague.com . In the minds of many fans, it’s time that the Toronto Blue Jays called up Vladimir Guerrero Jr., who’s setting a blistering pace with Double A New Hampshire. But there’s more. On May 24, proud Father and 2017 Inductee Vlad Sr. posted this to Twitter. “It’s a Vlady kind of night. Both Vlady homered today. Vlady Jr. and Vlady Miguel. [translation] The chickens doing their thing.” Vladimir Miguel is 12 years old and plays Little League. New artifact for the collection: Last week, we received Mike Soroka’s cleats from his May 1, 2018 MLB debut at just 20 years old. Inductee birthdays in June: 2 – Peter Widdrington, 10 – Jack Graney , 13 Tom Cheek and Ernie Whitt, 20 – Paul Beeston, 25 – Carlos Delgado, 28 – Corey Koskie, 30 – Tony Fernandez. Podcast recommendations: A Swing and A Bat featuring veteran sportscaster Dan Shulman for Rogers Communications is always great. New episodes every Thursday. Another show updated every Thursday is the Sully Baseball Broadcast by superfan and prolific poster Paul Francis Sullivan. His website mlbreports.com is good too. This entry was posted in Uncategorized on May 31, 2018 by admin_baseball.